License plate is standard size 6" x 12". 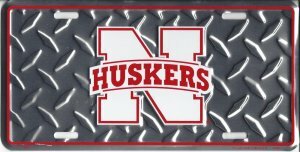 Officially licensed product.. Embossed aluminum metal will not rust flake or fade. Pre-drilled holes for easy mounting.